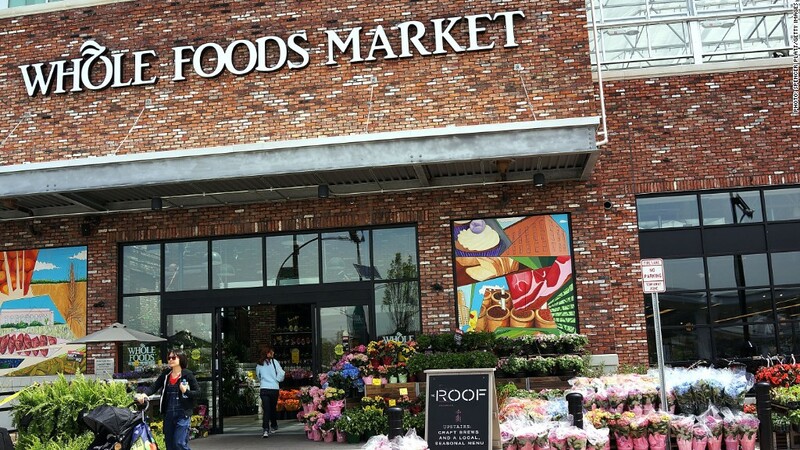 Grocery chain Whole Foods (WFM) has never been better, according to sales numbers it released Wednesday evening. The company made $128 million in the fourth quarter on top of a record $3.3 billion in sales. Both figures were 9% higher than they were the same time last year. Its earnings beat Wall Street's expectations. The grocer also told investors that sales would continue to grow, just 10% slower than they did in 2014. That's good news for the supermarket chain which has been battling brands like Kroger (KR) and Trader Joe's for control of the organic food market. Its shares were up more than 7% in after-hours trading, though they're still down nearly 31% for the year.